Oil is the life blood of your engine. As oil circulates through your engine, it creates a film between all the moving parts, preventing metal-to-metal contact. It also cleans, cools, and holds minute particles - the by-products of combustion and wear and tear - in suspension so they can be trapped in the oil filter. It should be obvious therefore, that maintaining a continual supply of oil is critical to the continued good health of your engine. Most of us will be familiar with the childhood trick (‘Amaze your friends…’) of tying a length of rope to the handle of a bucket of water and whirling the bucket in a circular motion without spilling a drop. Provided the bucket is rotated with sufficient speed (Tip: it helps if the bucket is only two-thirds full! ), centrifugal force causes the water to remain in the bottom of the bucket even when it is to all intents and purposes, horizontal. Well, much the same thing can happen to the oil in your engine. Under the influence of the centrifugal force generated by hard cornering, oil moves from side to side, effectively ‘climbing’ the walls of the sump. This is known as oil surge. In extreme cases, the oil may be forced away from the pickup pipe located in the bottom of the sump, which supplies oil to the oil pump. Momentary loss of oil circulation is the result as the engine is starved of its vital life blood. Even the briefest occurrence can cause irreversible damage to your engine bearings; if it is in any way prolonged, your engine can be completely ruined in seconds. 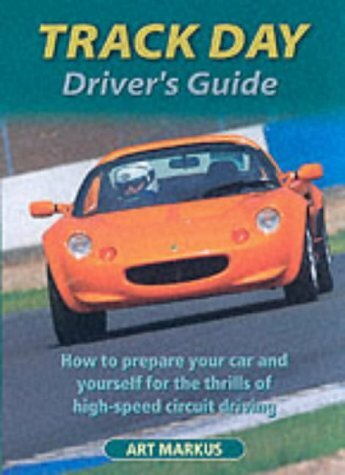 This is especially relevant to owners of Rover-powered Elises, as the Elise is capable of cornering forces not envisaged by Rover when they designed the K-Series engine. And as the Elise has no oil pressure gauge fitted as standard the oil pressure can be difficult to monitor. In any event, by the time the oil pressure warning light has operated the damage has already been done. Lakeside Engineering is aware of a number of engine failures resulting from oil surge. In response to this problem, Lakeside Engineering has developed a baffled sump kit. Easily fitted to all existing Rover-engined Elises, it requires no specialist tools, machining or welding. It works by effectively placing a lid on the oil in the sump, inhibiting the oil from climbing the walls of the sump and cylinder block, and therefore keeps the oil contained near the pickup under all combinations of braking, cornering and acceleration. And it is not just suitable for Elises. Indeed, it may be just as beneficial to the owner of MGF's and other vehicles powered by Rover’s K-Series engines, fitted with the standard alloy sump. If you have a highly tuned (ie expensive) engine you need to protect, or even if you simply want to provide the very best protection for your standard engine, peace of mind is now available in the form of the Lakeside Engineering sump baffle kit. Don't forget that Art's great book is still available, we understand that signed copies are still available at about £650 which does include a flight to New Zealand. Copyright © 2011 Lakeside Engineering. All Rights Reserved.